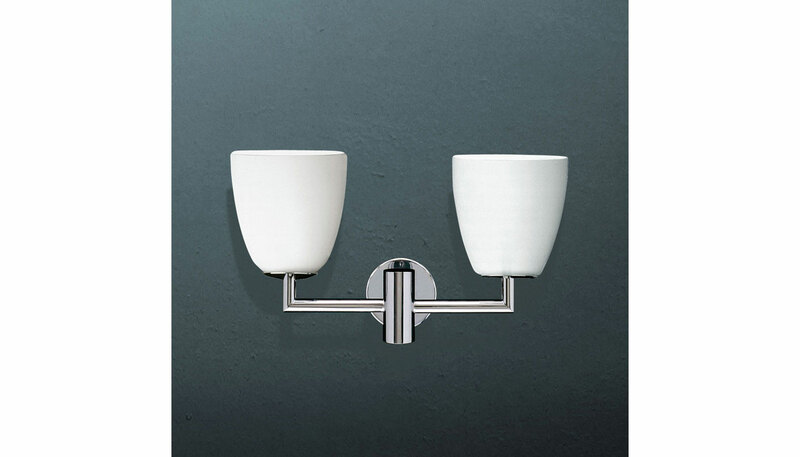 Wall light with two shades. Light can be installed with shades oriented up or down. Chrome-plated metal frame. Satin blown glass diffusers available in white. ETL certified to North American standards. Manufactured by FontanaArte.